Imagine nearing the real-life version of that movie moment when someone always manages to stop the wedding during the “speak now or forever hold your piece” bit. Except you have to try avoid that moment with the help of a relationship expert while broadcast on a huge network owned by a media mogul. That relationship expert is Tracy McMillan and the network is OWN: Oprah Winfrey Network. The show? Family or Fiancé. One particular clip seemed to pique everyone’s interest on social media, featuring engaged couple Keron and Ashley in an explosively messy episode tackling sexual identity, religion, and unfinished business with the ex. The “Ashley and Keron: The Devil’s In The Details” episode aired on Saturday March 16, but OWN invited a select few journalists to their studio (inside the adorably named Magical Cafe) to view an advanced screening of the episode on Thursday, March 14 while eating chicken and vegetables that I refuse to believe are from anywhere than Oprah’s garden. Since the show is centered around choosing between your future life partner and the family you were born into, McMillan also touched on the importance of the two different families getting along to form what would (hopefully) become a cohesive unit once the two lovebirds jump over that historic broom. But, not all of us are choosing between family or fiancé(e); when it comes to love, maybe our biggest choice resides in the factory of photos housed in the latest dating app. Naturally, since the famed author of the 2011 viral blog post, “Why You’re Not Married,” was in the building, our femme-dominated group asked her for relationship advice. The standout question: Why am I perpetually single? 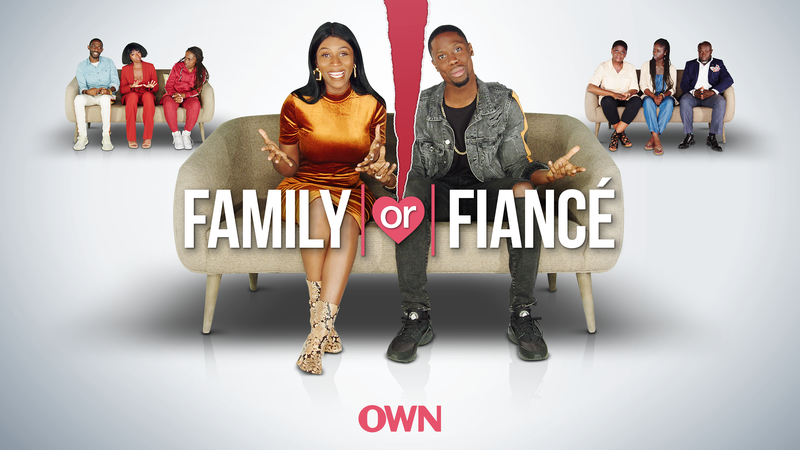 Family or Fiancé airs every Saturday on OWN at 10 p.m. ET / PT. The season finale will air on Saturday, April 27 at 10 p.m. ET /PT.